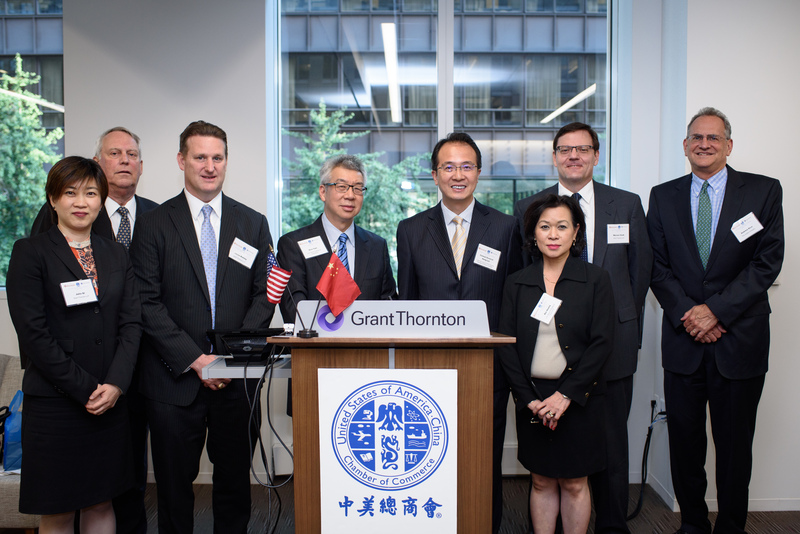 On August 4, Consul General Hong Lei attended the Information Session of 120th Canton Fair in Chicago at the invitation of US-China Chamber of Commerce. CG Hong Lei said that China Import and Export Fair, also know as Canton Fair, was founded in 1957. It is co-hosted by the Ministry of Commerce of PRC and Guangdong Provincial Government. Canton Fair is an all-inclusive international trading event with the longest history, the largest scale, the most complete exhibit variety, the largest buyer attendance, the broadest distribution of buyers' source country and the greatest business turnover in China. It is renowned as "China's No.1 Fair". CG Hong Lei pointed out that currently, China's economy is conducting structural transformation and upgrading and pushing forward the supply side reform. With better quality of goods, I believe that you can find more attractive products at the Canton Fair and introduce them to the general public in Chicago and the rest of the Midwest. Meanwhile, the Chinese economy still maintains sound momentum, with a growth rate of 6.7% in the first half of 2016, one of the fastest in the world. There is no doubt that the momentum will result in more personal incomes and stronger purchasing power, which is a good news for US business people to promote their competitive products and expand Chinese market. 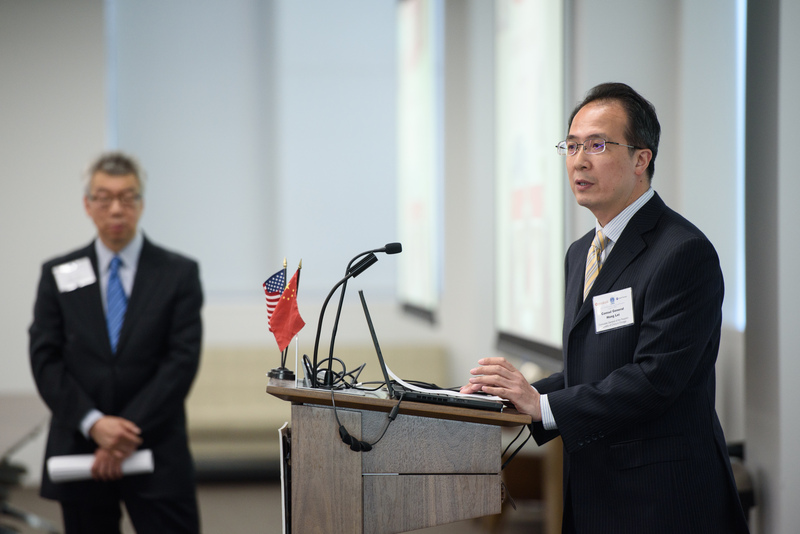 CG Hong Lei expressed that close economic and trade cooperation plays an important role of bedrock in the China-US relationship featuring multi-layer and rich content. Economic and trade cooperation is mutually beneficial and win-win, which brings benefits to Chinese and American peoples. Welcome you all to the Canton Fair and I believe that the trip will be worthwhile. 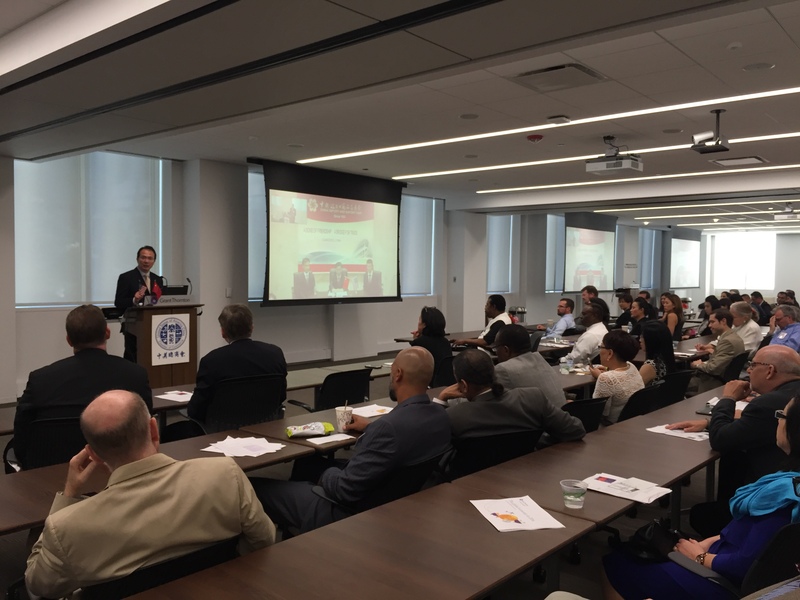 Several dozens of Chinese and American business people based in Chicago Metropolitan Area attended the information session. Staff of Canton Fair in China participated the session and answered questions from the audience via video link.